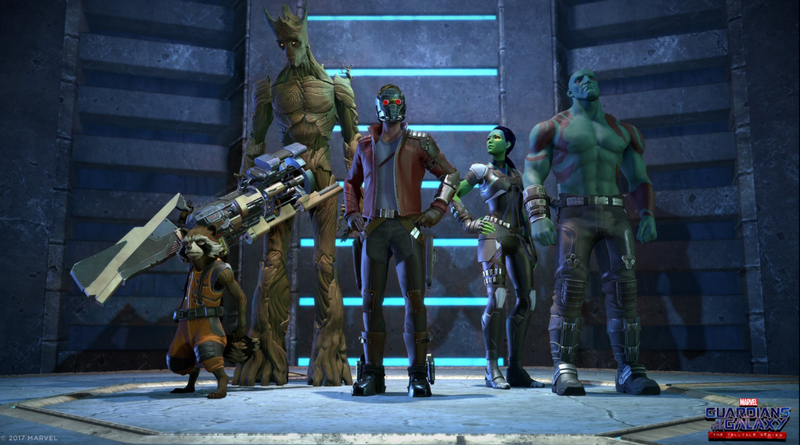 On the eve of release, developer Telltale Games has lifted the lid on the official launch trailer for its five-part Guardians of the Galaxy series, promising a whole new adventure for Star-Lord and the gang. Soon after answering a distress call from the Nova Corps, Peter Quill and his loyal band of anti-heroes go up against Thanos, the Mad Titan of the Marvel universe, in exchange for a clean slate. 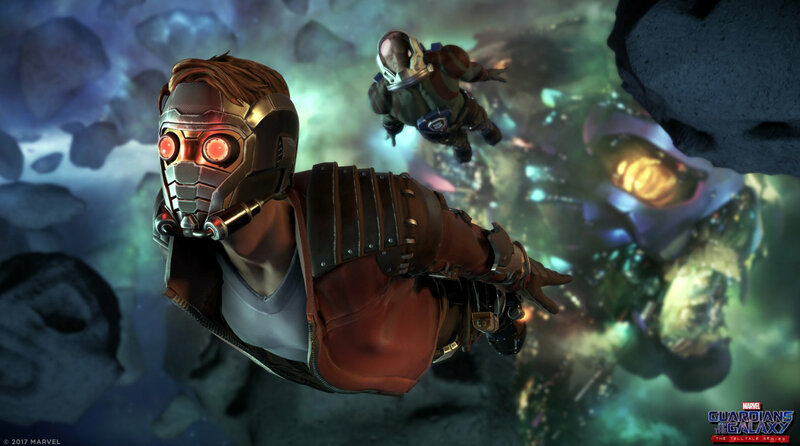 It’s slightly similar to James Gunn’s 2014 sleeper hit in that Star-Lord and the other Guardians begrudgingly accept a mission in an attempt to clear their names, but Telltale has made it clear that its imminent episodic series features an original story, and it’s one that’ll begin with the release of “Tangled Up in Blue” tomorrow, April 18th. Priced at $4.99, the episode will be available for Xbox One, PS4, PC, Mac – look for the Season Pass to roll out on May 2nd and May 5th for the U.S. and Europe, respectively – and compatible mobile devices, and though the studio typically reveals individual release dates closer to the time, expect each new installment to roll out every four-to-six weeks. As for “Tangled Up in Blue,” this launch trailer tees up an exciting new expansion in the Guardians lore, and we understand Telltale has drafted in a relatively familiar mix of voice talent to bring those characters to life. 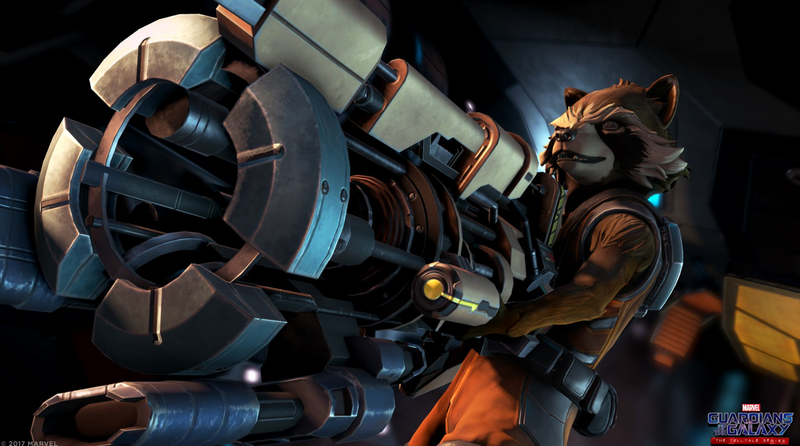 Granted, it’s a little jarring to hear someone other than Chris Pratt voice Star-Lord – ditto for his fellow Guardians – but it shouldn’t be too long before fans acclimatize to Scott Porter (Quill), Emily O’Brien (Gamora), Uncharted alum Nolan North (Rocket Raccoon), Brandon Paul Eells (Drax) and Adam Harrington (Groot). 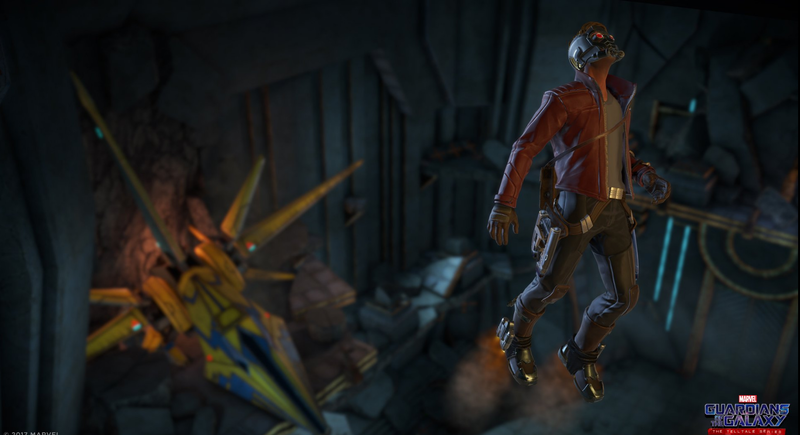 With the launch trailer now out in the wild, expect Guardians Of The Galaxy: The Telltale Series to kick off tomorrow, April 18th, with the release of “Tangled Up in Blue.” That lends us plenty of time to revel in Telltale’s pilot episode before James Gunn’s Guardians of the Galaxy Vol. 2 zooms into U.S. theaters on May 5th.